This past Memorial Day weekend I spend the weekend doing things I never would've thought I've done. Both Chris and I managed to attempt a new paddlesport! 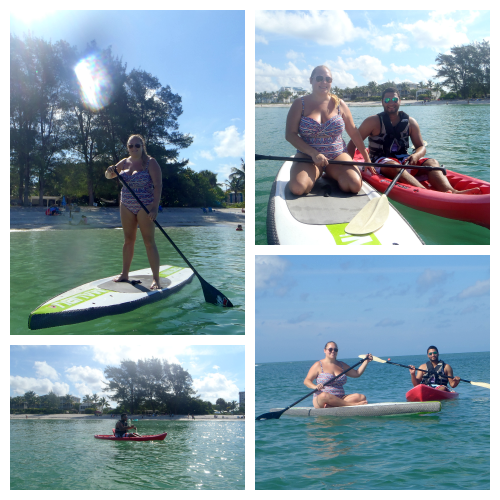 It was a big feat for both of us because I had never paddleboarded before and he had never been in a kayak before. The ocean was very calm and was great for first timers like us. 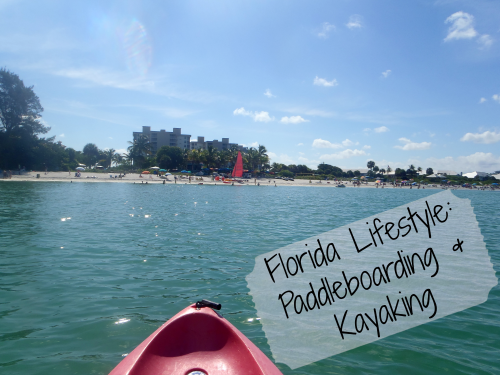 Paddleboarding was so easy to pick up and was SO much fun! Standing on the board in the water is a lot harder than it looks, but it is still fun. I spent most of my time sitting on the board and paddling around. Chris got a chance to finally try kayaking - and he loved it! Chris isn't the most comfortable in the water, and its been nice to see him open up to try more things and kayaking was the thing that stepped him out of his comfort zone the most. Overall, it was a fun experience and we've talked about doing this again! We've even talked about possibly purchasing some equipment of our own in the future. i want to try this, so i'm visiting florida one day, okay? I will happily take you - and by the time you make it here maybe Chris & I will own our own!